Exactly twelve years following the devastating Indian Ocean tsunami that wiped out 230,000 lives off the face of the earth on boxing day of 2004, survivors still recall the incidents leading up to the tragedy. 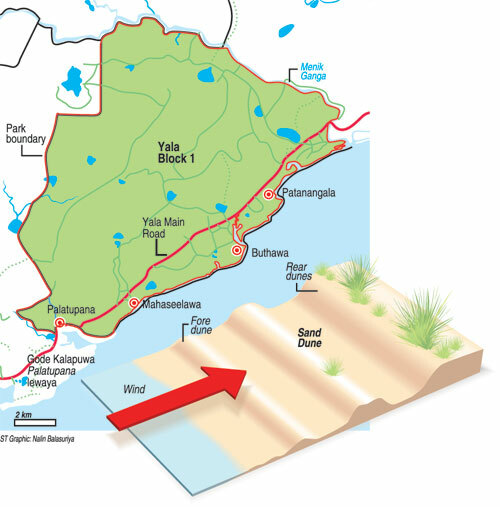 In Sri Lanka it was a fateful Poya day and waves that reached as high as 30 metres ravaged the seashore killing around 35,000 and displacing over half a million people in the coastal areas. Since then every year on December 26 survivors scarred by sad memories still bemoan the loss of their loved ones. However some survived the harrowing incidents to narrate their experiences. One such lucky survivor is retired wildlife warden J.H. 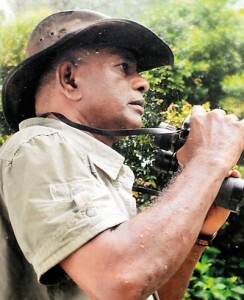 Sunimal Tissera who was serving as the chief warden in the Yala National Park. He lost many of his friends at Yala, Safari Games Lodge. Only the previous day he had attended a Christmas party and had enjoyed himself till dawn. Tissera said looking back now he recalls warning signals from the animals around the Park, that he had ignored then. Returning to their lodgings after the party he and others had noticed a herd of elephants behaving in an unusual manner while an albino elephant had emerged from nowhere. He also recalls the incessant eerie sound of cicadas (a tropical insect). On December 26, Tissera was in his quarters blissfully attending to his daily chores after waking up at 5.30 a.m. He proceeded to open up the office to issue tickets to visitors (most of them foreigners) who were waiting to enter the park. “Around 9.30 a.m. my co-workers rushed into my home panicking and crying out that the sea had come inland and that we should flee. I ran out -– the silhouette of the 85 roomed Safari Beach Hotel in the distance had vanished and I was greeted by an expanse of water that was coming towards us. One of the park bungalows – the Pattangala bungalow was also completely submerged. “In the melee, some even cried out that the LTTE was attacking the park. “My wife and I together with some of the workers jumped into the jeep and headed towards the gravel road as fast as we could. Outside we saw around 80 vehicles – vans, cars and jeeps – floating in the water. On the way we were stopped by desperate people clamouring to get into the jeep, trying to escape the advancing waters. Some even tried to pull out the women in the jeep and get in. “However, we managed to drive on. On the way close to the Godekalapuwa lagoon we were stopped by a herd of elephants – around 30 agitated elephants were trumpeting and and pulling down trees. “We had to switch off the vehicle and wait till they dispersed. Eventually we took the women to a safe place and came back to help others. It was around 12.30 p.m. the trackers were directed to find bodies and they worked tirelessly pulling out 47 bodies in a matter of seven hours. We lined up the bodies on the gravel road and later transported them to the Tissamaharama hospital in batches of eight in my jeep. “Suddenly a bear appeared about 20 feet away from me and none of us had noticed. But suddenly a co-worker spotted it and we were able to chase it away. “Bears habitually do not come out during the day time. But probably it had lostits baby to the gushing water and was looking for it. “On our way we saw many agitated animals. We saw two leopards on the branch of a Palu tree looking in the direction of the sea. Right below the tree was a monitor (Thalagoya), staring ahead. A little distance away was a dead monkey still hanging on to a branch of a tree, having fallen victim to the wrath of the sea. “A herd of deer were making noises and running towards the sand dunes,” Mr. Tissera recalled. Mr. Tissera who was awarded a gold medal for his dedicated service in the Yala Park recalls that he was traumatised by the experience and did not want to get back to his work station. “I had sleepless nights, the nightmarish memories kept coming back and I developed a heart condition too,” he said. After three months Tissera resumed work in another station as he found it difficult to continue working at the Yala Park.